The mission of the JSN is to contribute to society and respond to our public mandate through research and the dissemination of knowledge related to nephrology. 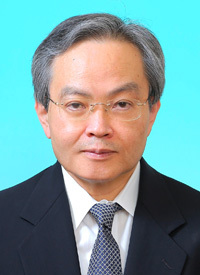 In order to accomplish this mission, we engage in a wide range of activities, including research in the field of nephrology, developing human resources, providing for lifelong education, giving back and disseminating knowledge and skills to Japanese citizens, and contributing to the public health and welfare of our nation. Currently, the number of JSN members exceeds 10,000, thanks to the insightful, creative, and talented leadership of our former presidents. We will continue to respond to the expectations of the members and the nation and make efforts to accomplish our mission. In order to achieve this goal, we would greatly appreciate receiving each member's cooperation and advice. We believe that research to overcome diseases develops gradually, not via a simple course, but along a more convoluted pathway. On behalf of the whole organization, I am determined to make progress step-by-step, without delay, and with the expectation and the objective of educating the next generation. Our basic principles are contributing to society, educating the next generation, promoting technology and research, committing to social activities, reinforcing collaboration, and continuing to follow our tradition and pursue innovation. "Contributing to our society through advances in research and the dissemination of knowledge related to nephrology" is the key mission of the JSN. Through diverse and expanded activities, we anticipate that various new plans and projects will be submitted in the future. Since we believe the public interest is the most important consideration, we will select projects from this viewpoint. Most of our members are in the frontline of the clinical field, confronting renal diseases together with patients and their families. Most renal diseases are intractable, so we must provide support for patients living their daily lives with a heartfelt desire for a cure and seek to cure these diseases, in both the clinical and research fields, through a wide range of activities. Therefore, our basic position is that we should support our members' efforts, organize a variety of activities within our projects aimed at curing renal diseases, and then, finally, give back the results gained to the members, the patients, the families, and our nation. At present, we are working on a "5-year plan of the JSN," which is divided into "strategy and medical policy," "basic research," "clinical research," "education and development of human resources," "internationalization," and "local contribution and industry-university collaboration." These objectives have been set as the organization's grand design and action plan that will define our future activities. From the standpoint of social contribution, we will decide on the plan's priorities according to their degree of importance and urgency. We hope that we can accomplish this effectively based on the "5-year plan of the JSN. "We will evaluate progress each year by means of plan-do-check-act (PDCA), playing the role of engaging in institutional research (IR) at the same time. As regards evaluation, we will employ a JSN external committee, unveil each activity with a high degree of transparency on the website homepage, and develop those activities as our open window to society. The expression, "The future is defined by the past, and is created in the present" is consistent with organization theory. Without educating the next generation, the strenuous efforts of our society and its current activities become meaningless. By recruiting and passing on the mission to the young and the backbone of our members, we give them the opportunity to widen their perspective. We encourage a variety of activities drawn from diverse human resources by utilizing JSN's support system. Since a mature approach to diversity is essential for sound, vibrant activities, we will also promote the project of gender equality to a greater extent than in the past. This will be one of the most important issues in the "5-year plan of the JSN." To support this activity, we plan to set a number of goals. Moreover, the system of specialty in Japan is now facing a revolutionary turning point. We not only plan to maintain the concept of specialty in nephrology but we will also reinforce and stabilize the system. In this regard, JSN's "Nephrology Seminar for Residents" plays a critical role, and, accordingly, we plan to hold this event as a regular fixture. Needless to say, collaboration between many workforces in the clinical field is essential; hence, we will launch the "Certified Nephrology Nurse (CNN)" course to strengthen the integration of general nurses, dieticians, and pharmacists, and focus on nurturing a wide variety of next-generation career personnel who are not limited to being doctors. The JSN has succeeded in various ways, represented by the following achievements: implementation of a countermeasure against CKD, globalization of JSN's activities, establishment of a national platform and database for CKD registration and an epidemiological study, acquisition and improvement of the impact factor of our society journal, Clinical and Experimental Nephrology, taking leadership and avoiding excessive dependence on conventional professionals to run our annual scientific meeting, and publishing new guidelines and implementing familiarization measures. As a final goal for countering CKD, we aim to reduce the number of CKD or ESRD patients and improve their quality of life. To that end, bringing research products obtained through public research funds to market and standardizing medical care to minimize local disparities are the major issues to be pursued. It is also essential to introduce the Quality Indicator System for evaluation of the guidelines we generate. We will cooperate closely with the research group selected by the Ministry of Health, Labour and Welfare (MHLW), "Research elucidating future direction in CKD countermeasure programs." There is deep concern about the worsening of international competitiveness in the area of basic research in our country, which is indicated by the reduced number of published papers from our country in journals such as the Journal of the American Society of Nephrology and Kidney International. To activate and support basic research, we will support education programs and nurture young researchers, help to establish a virtual resource center for renal biopsy, and facilitate students studying abroad with aid from the JSN International Committee. Furthermore, we will submit a 5-year-proposal to MHLW and the Japan Agency for Medical Research and Development (AMED), and share with them what we consider the important problems to be solved. As a platform for country-level clinical research, we will expand our database of renal disorder registration. The Japan Renal Biopsy Registry (J-RBR) is one of the largest renal biopsy registries in the world, and it has resulted in various secondary studies being conducted. The Japan Chronic Kidney Disease Database (J-CKD-DB) is a less labor-intensive database, containing more than 100,000 patients, which is used by the MHLW. We will complete the project as soon as possible and wish to provide the data for clinical research by our society's members. Individual information on the J-CKD-DB will be connected to the J-RBR for complementary purposes. We are also discussing connecting J-CKD-DB to biological samples and genomic information and establishing a multi-layered database that will comprise the J-RBR and a biological sample database at the top layer and J-CKD-DB at the bottom layer. To improve the quality of nephrology care and overcome renal disorders, we have to clearly recognize and share the problems to be solved, or, in other words, to view the same landscape as members belonging to the scientific community, the government, and the policy planning agencies. As a scientific committee chairperson, I have started to communicate and build platforms with other stakeholders, including MHLW, AMED, and the Ministry of Education, Culture, Sports, Science and Technology (MEXT), and will further consolidate the connections through regularly holding scientific program workshops. Through the activities being pursued by the International Committee, the relationships with the American Society of Nephrology (ASN) and the European Renal Association-European Dialysis and Transplant Association (ERA-EDTA) have grown stronger than ever. Through the Asian Forum of Chronic Kidney Disease Initiative (AFCKDI), the association of the JSN with Asian countries will be also consolidated. We believe that the inappropriateness of renal endpoints has been a major obstacle to the development of new renal disorder treatment drugs. To reevaluate renal endpoints, we are constructing a regulatory science research organization, together with the relevant ministries. Renal disorders often affect the whole body. To develop efficient disease countermeasures, it is essential to strengthen cooperation with other scientific societies. We have been making progress by creating joint committees with various other societies. Such activities will be given priority by our society, and they potentially reflect the consensus of the society. The JSN has been successfully expanding through the outstanding and visionary leadership provided by senior colleagues and the selfless devotion of the administrative officers. We will continue this tradition and keep on doing our best to contribute to the society and the members, and seek to optimize medical care for our citizens and to solve urgent problems. Contributing to society at large is the core mission of the JSN. We need broad support, not only from the society members but also from citizens. For us to overcome renal disorders, it is essential that we work together with people from various fields. We anticipate that you will provide your understanding, cooperation, and knowledge to further the JSN's mission.